Restylane is the #1 selling dermal filler in the world. 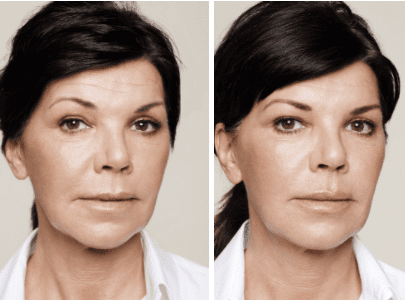 With over 1.4 million treatments in the US alone, it is the most-studied cosmetic dermal filler in the world and has natural looking results typically in one doctor visit. The Restylane® family of products offers tailored treatments for individual, natural-looking results designed to act like the body’s own naturally produced hyaluronic acid. These products visibly reduce facial wrinkles and folds and add smooth, silky definition to lips. As you age, so does your face. You may be noticing some obvious signs of aging such as, subtle lines and wrinkles around the nose and mouth that have started to deepen over time. Cheeks that used to appear full and taut suddenly seem to sag and droop. While aging is a reality of life, it doesn’t mean you can’t maintain a natural, youthful look along the way. Restylane® Silk smoothes those living lines around your mouth and delivers fuller lips with natural-looking results. Silk is a unique formulation of hyaluronic acid, which occurs naturally in youthful skin. This allows your specialist to help smooth the lines around your mouth.